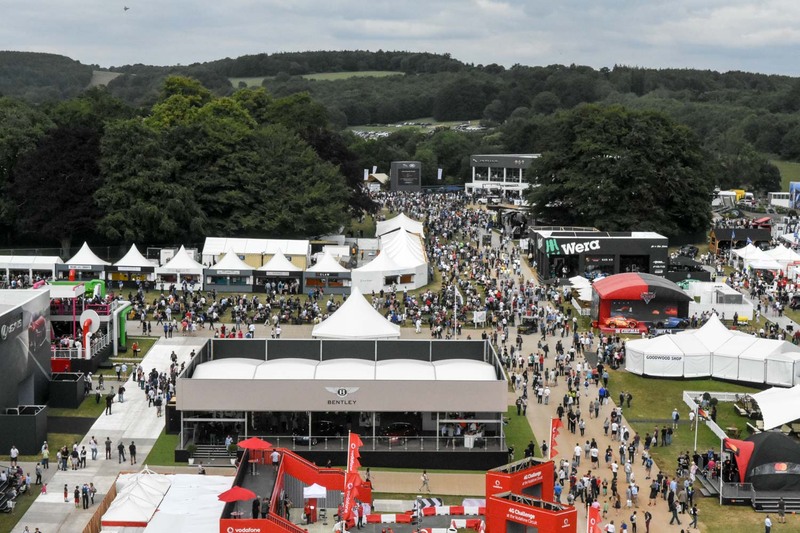 Goodwood is one of those events that is a must-visit for every petrol head on the planet, and if the weather plays along, it’s absolutely fabulous! 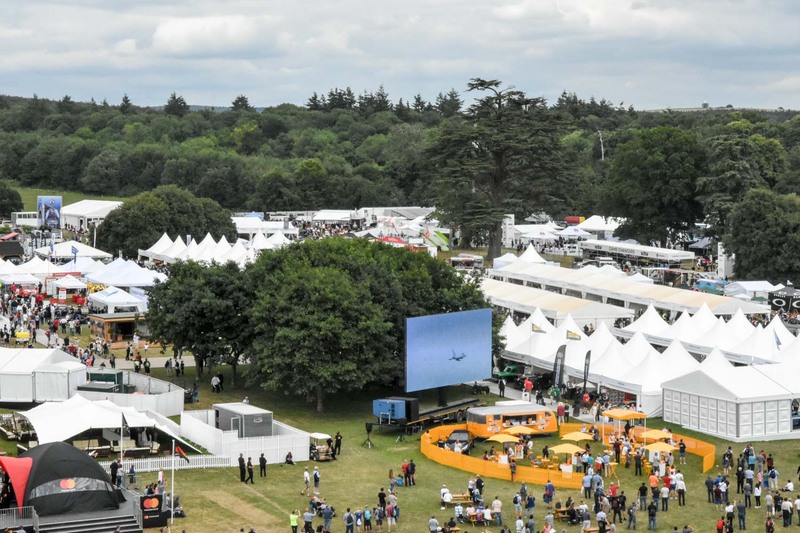 Goodwood has three main events during the year: Members Meeting (which marks the start of the racing season), Revival (after summer) and recently, Festival of Speed; the latter was the setting for Porsche to unveil their newest 911 GT2 RS. 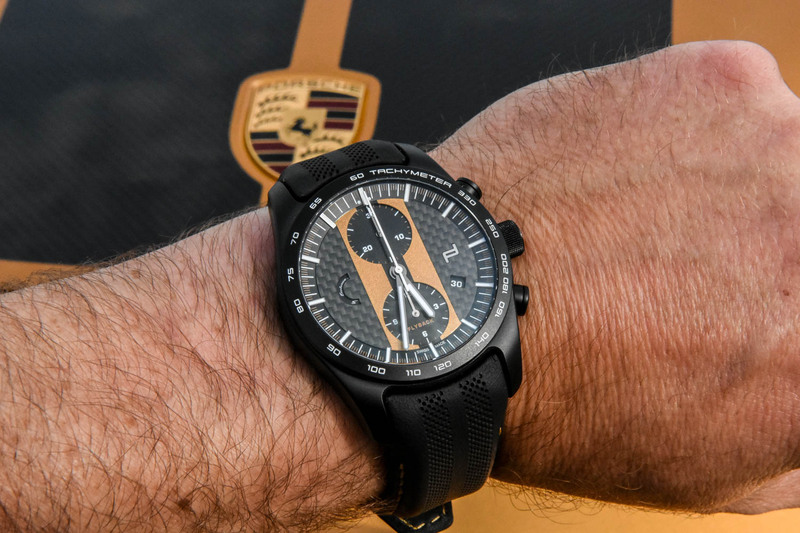 Now if you wonder what a watch journalist is doing at the Festival of Speed with Porsche (and Porsche Design), then there’s a good explanation for that and yes, it has everything to do with watches. 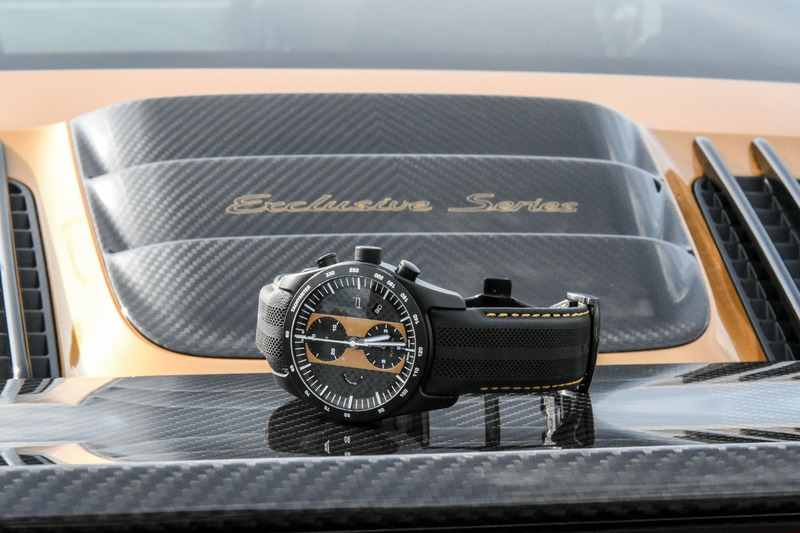 Rather exclusive watches if I may say so, because you can only buy one if you bought either the recently introduced Porsche 911 Turbo S Exclusive Series or the new 911 GT2RS Exclusive Series. Over here, at Monochrome, we’re all watch lovers. 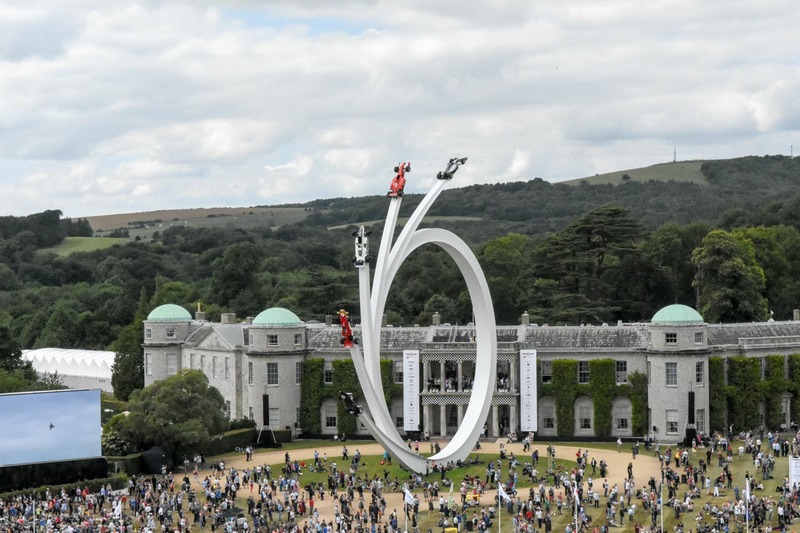 Well, you can only run ‘this show‘ if you have a genuine passion for mechanical timepieces, and that’s what we all have! However we also love beautiful cars; some of us are true connoisseurs, and one of us is a walking and talking automotive encyclopedia. 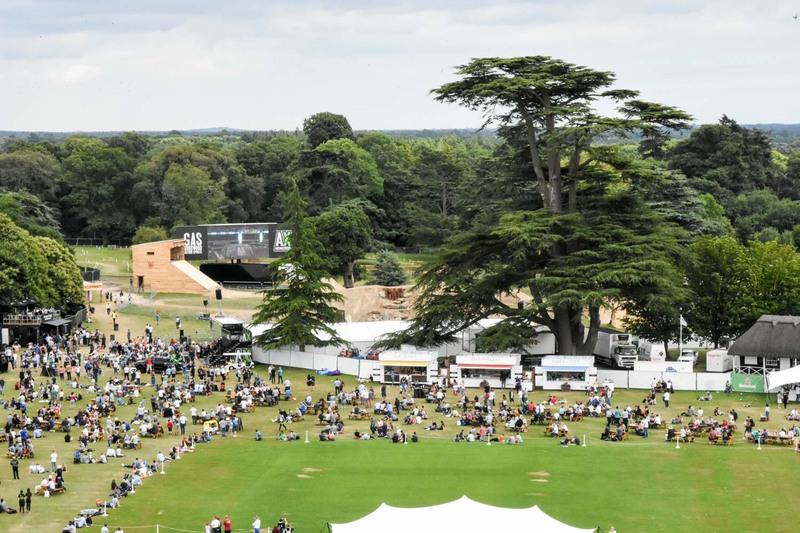 So maybe you can imagine that attending an event like Goodwood FoS is no punishment. Watches, cars, and this weekend the weather played along, so it was a magnificent weekend. 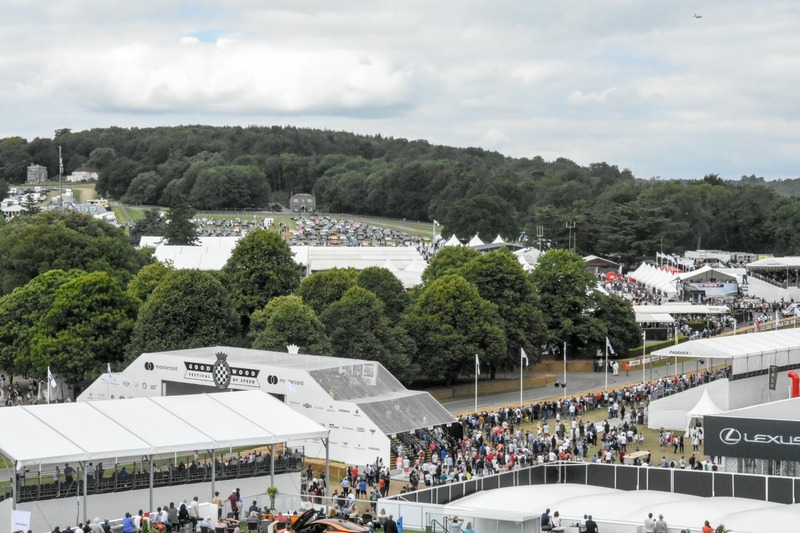 Compliments to Lord March and his team for setting up a marvelous automotive spectacle. 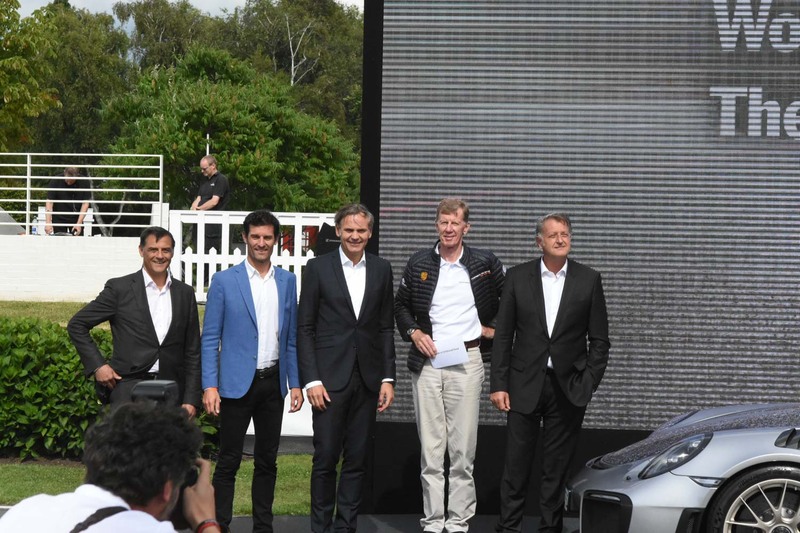 Early June, Porsche launched the 911 Turbo S Exclusive Series, and with it came the option to order a matching Porsche Design Chronograph 911 Turbo S Exclusive Series. 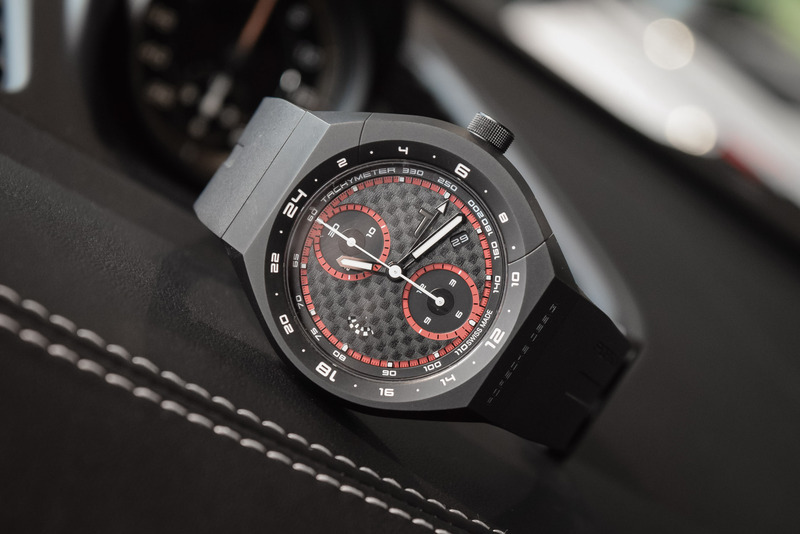 This watch is only available to owners of the car, and marks a new chapter in the collaboration between Porsche and Porsche Design. 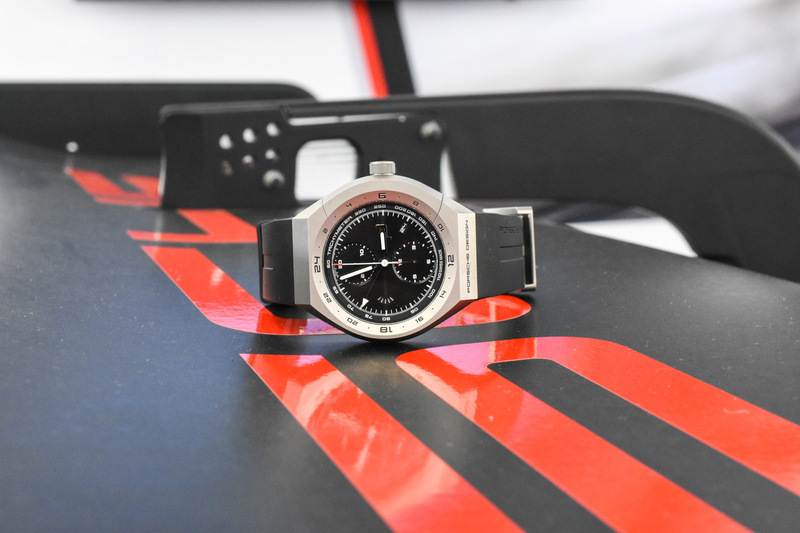 The watch will be customized to match with the car, and features for instance a leather strap matching the leather and stitching of the seats, the automatic winding rotor that matches the wheel rims, and the limited edition number of the car will be engraved into the case back. 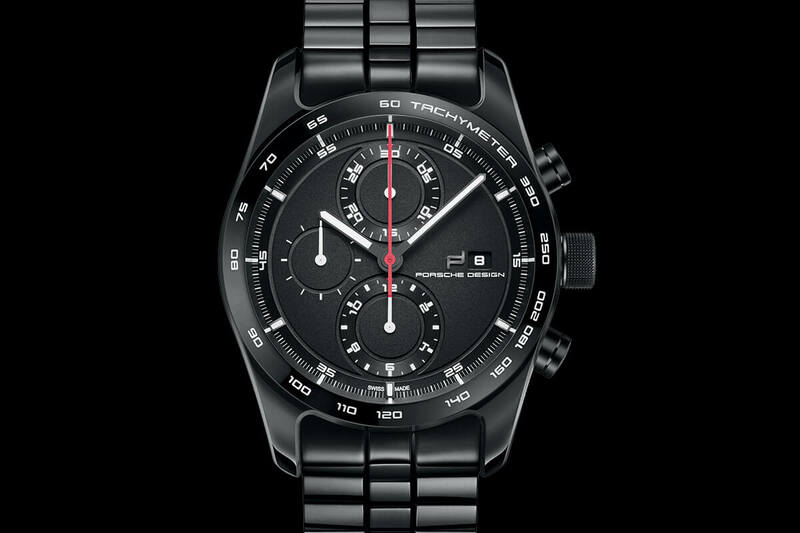 The Porsche Design Chronograph “911 Turbo S Exclusive Series” comes in a black titanium-carbide-coated titanium case, measuring 42mm in diameter and just over 15mm in height. 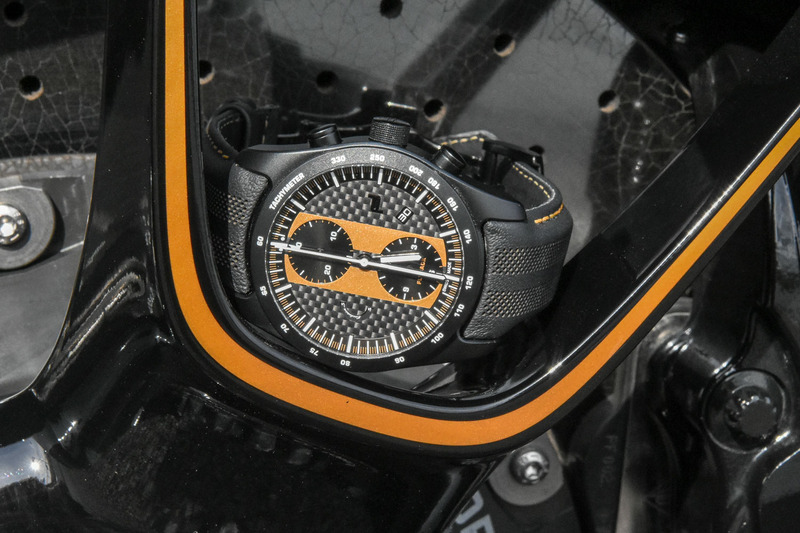 The watch, which is available to owners of the new GT2 RS Exclusive Series, will feature a sandblasted titanium case of the same dimensions, and comes with a black titanium carbide coated titanium bezel and case back. The dial is in carbon and comes with a striping in one of the six colour of the 911 Turbo S Exclusive Series (Golden Yellow Metallic, Carrera White Metallic, Agate Grey Metallic, Black, Guards Red and Graphite Blue Metallic) and will be done in original Porsche lacquer paint. 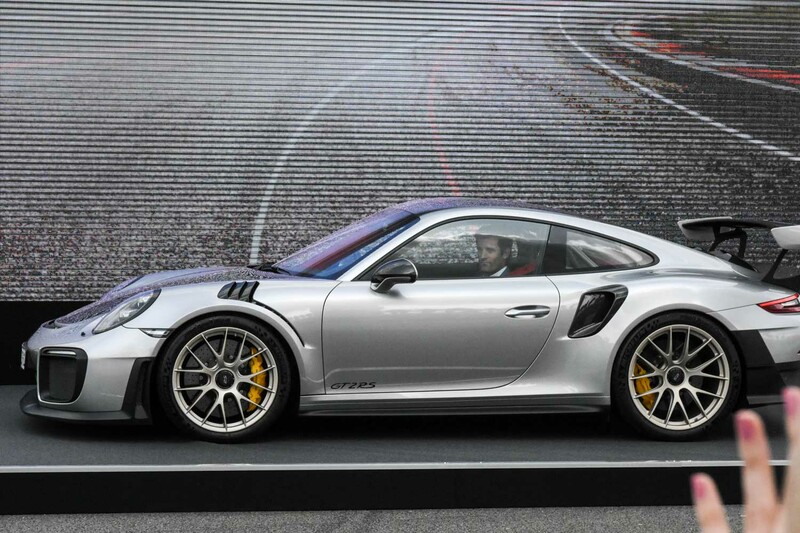 The dial of the GT2 RS version is always in GT Silver Metallic, and is thus exclusive to this car. 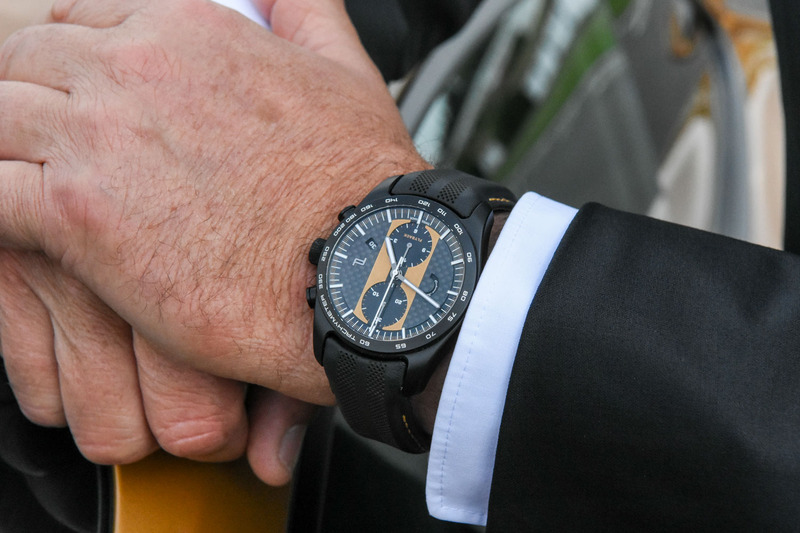 The hands (black for the GT2RS, and steel for the Turbo S version) have been applied with white Super-Luminova coating for maximum legibility. 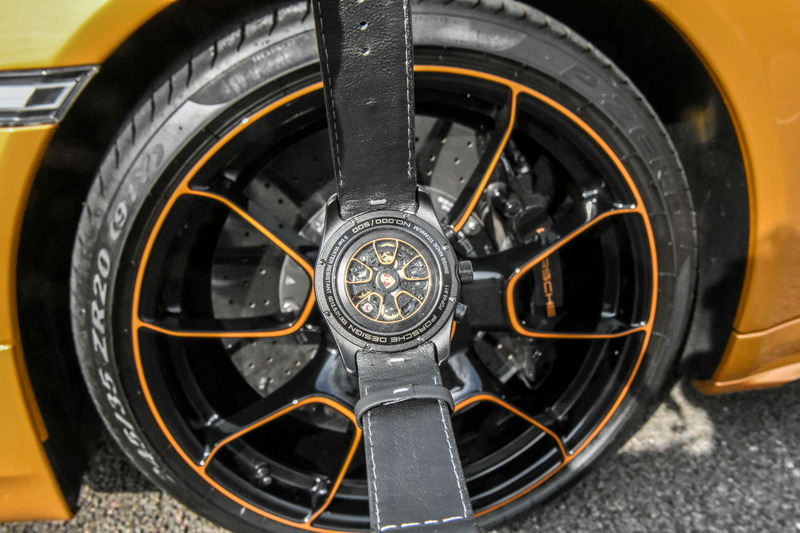 The chronograph hands are executed in steel on Turbo S version and in yellow on the GT2RS version. The watch is water resistant to 5 bar (tested dynamically to 5 bar), and comes with a screw down crown with Clous-de-Paris pattern that improves the grip. The sapphire crystal comes with hard coating, scratch-proof and with no less then a sevenfold anti-glare applied on both sides. Inside the two Exclusive Series Chronographs is Porsche Design’s new proprietary movement, which is baptized Werk 01.200. 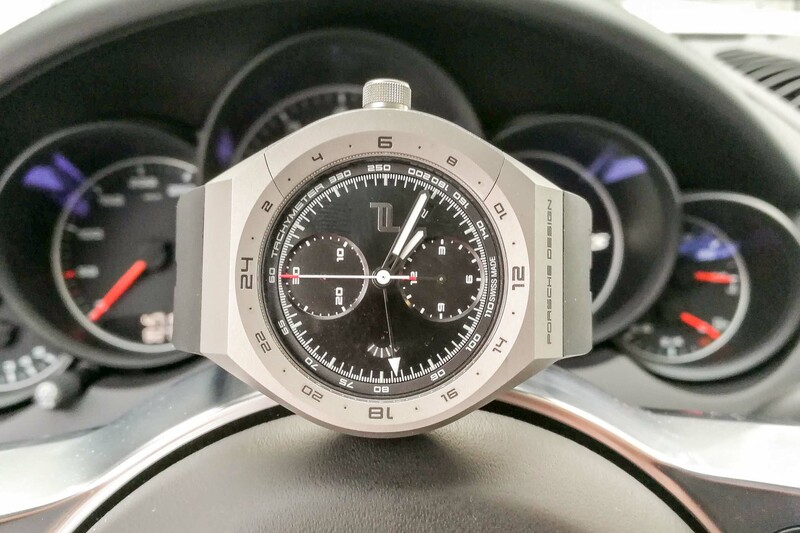 Porsche Design developed the movement in-house, something which took them 3 years, and it’s manufactured by trusted third parties according to Porsche Design’s own specifications. You could say that this is a similar approach as Porsche cars practice. The Porsche Design Werk 01.200 features a Flyback mechanism, a tungsten winding mass, and a rotor resembling the magnesium wheels of the 911 Exclusive Series. It displays hours, minutes, and small seconds and on the 9 o’clock position is a so called “mechanical function display” that shows that the watch is running (something Porsche Design first used in the Monobloc Actuator 24H Chronograph). The subdial at 12 o’clock is the 30-minute counter and at 6 o’clock is the chronograph’s 12-hour counter, and all counters, including the central chronograph second counter, reset to zero at once when the pusher at 4 o’clock is pushed. The date is displayed 4 o’clock. 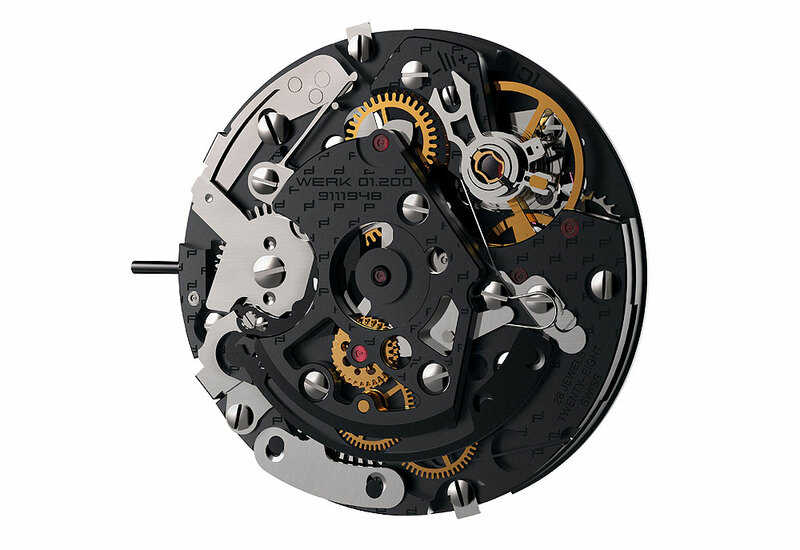 The movement is executed in matte black, and features brass gears, and the springs, levers, etc are in stainless steel. All that looks very befitting underneath the automatic winding rotor that resemble the magnesium 911 Turbo wheel rims. 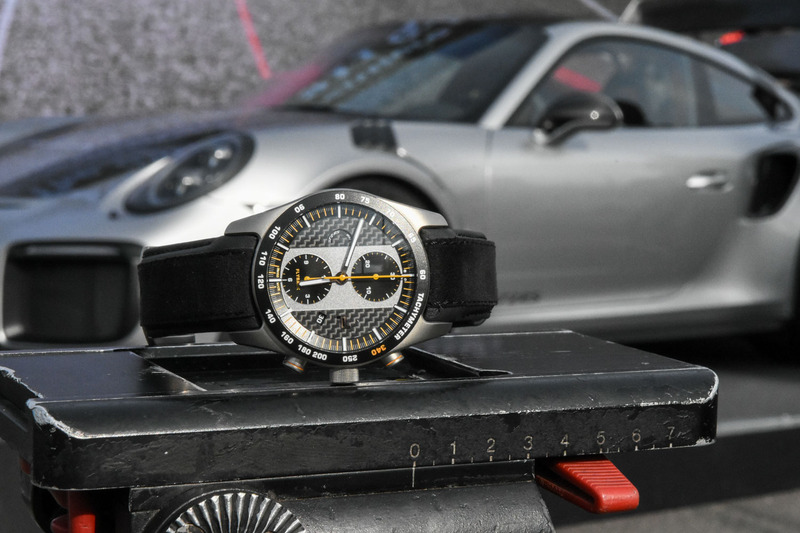 The Chronograph 911 GT2 RS Exclusive Series comes with two leather straps, with alcantara matching the seats, so no additional titanium bracelet for 911 GT2 RS owners. The price for these watches is EUR 9.950 Euro including 19% VAT (for Germany), so say around €10k for the rest of Europe. More info at the Porsche Design website and your local Porsche dealer. More info at the Porsche Design website and at your Porsche dealer. 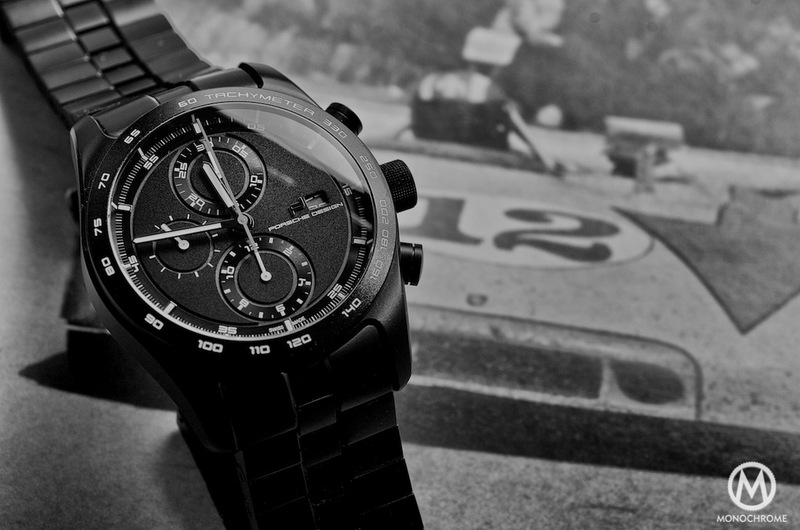 Maybe in my next life I’ll have one of each, car and chronograph. But, unfortunately, not in this lifetime. I have a feeling this is going to be a highly sought after piece to match ones Porsche.